Jaquito: Whiskey Saloon jacket -- just in time for Father's Day! 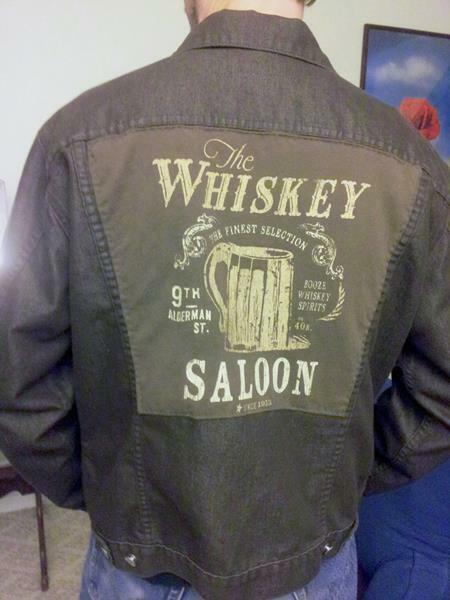 Whiskey Saloon jacket -- just in time for Father's Day! Father's Day is just around the corner! Tired of giving Dad the same old tie? How about a custom Jaquito? 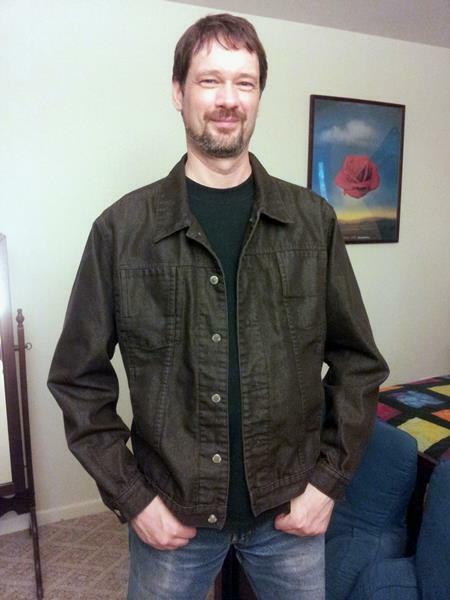 This is a coffee brown high-quality denim jacket (originally from Banana Republic) with a vintage Whiskey Saloon t-shirt graphic on the back. Size large. Pockets inside and out. Can be further customized with a patch on pocket or sleeve. $35 as is, $5 for an additional patch. Leave a comment to let me know you want it!